"A Proven Martial Arts School In Westmoreland County That Helps Beginners Achieve Their Training and Fitness Goals!" Pennsylvania Combat Sports in Greensburg, is one of the most established and respected Brazilian Jiu-Jitsu and MMA academies in South Western Pennsylvania. Our reputation began in 2001, when Combative Grappling Systems (Team CGS) was founded as the first Mixed Martial Arts (MMA) & Brazilian Jiu-Jitsu ( BJJ ) training academy in Westmoreland Co. The evolution of this team continues today, and we hope YOU join us as another great success story! 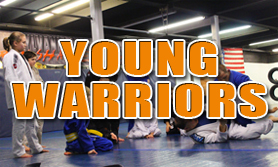 For over 15 years, many people from Westmoreland County and surrounding areas, have received expert instruction in Brazilian Jiu-Jitsu (BJJ), Kickboxing, Mixed Martial Arts (MMA), Youth Martial Arts (Young Warriors), and Street Self-Defense training. The instructors and staff at PA Combat Sports have worked hard over the years to develop the most professional and effective training programs available. We offer a proven methodology that will help any beginner achieve their Martial Arts training goals. In fact, one of our first students would go on to become an active MMA fighter and UFC The Ultimate Fighter Season 6 winner! Most of our students have started with ZERO Prior Experience and below average physical fitness levels. The good news is, they didn't stay that way for long. Many who stay the course will see real results during the PACS training process. Look its hard to explain, but getting in shape while learning Real World Martial Arts is like a secret formula to increasing personal confidence and self esteem. Once a person experiences this change in perspective, they'll often begin to set their new goals much higher...its as if the limits on what you can achieve slowly disappear through this increased confidence. While some of our "day one" beginners have gone on to become Brazilian Jiu-Jitsu Champions and MMA Fighters...Competition is NOT a requirement to train at Pennsylvania Combat Sports. In fact, only about 12% of our students actively compete. The rest of our members are learning martial arts and getting into shape via the benefits of regular PACS academy training. Combat Striking Class Doing WORK! If you'd like more information on membership options, please contact us today to schedule a Free Martial Arts Training Consultation. This consultation is a great opportunity for us to identify your training goals, go over all the programs that we offer, discuss your current schedule and hopefully outline a path for success! So give us a call and lets set something up. Pennsylvania Combat Sports offers some of the BEST Brazilian Jiu-Jitsu training on the East Coast! Our BJJ students have the rare opportunity to learn directly from Professor Vicente Junior (4th degree Black Belt under Master De La Riva). As a Black Belt in Brazil, Prof. "VJ" now lives in Maryland, teaching full-time and competing in some of the most prestigious tournaments held in North America. The video below shows Professor VJ teaching in one of his regular classes at PA Combat Sports. This level of instruction is extremely rare, and its available right HERE in Greensburg, Pa! These curriculum based "101 Programs" are perfect for Men or Women who want to experience the real benefits of REAL World Martial Arts Training. Whether you're just looking to get in shape, learn for self-defense or competition based purposes...we can help you reach your potential! Are you ready to finally take the next step towards learning the most effective Martial Arts around? Whether your looking to get in shape, become Street Safe or hoping to fight in the Cage one day...it all starts with one thing. Take Action now and contact us to find out how you can become part of the Pennsylvania Combat Sports Team. Call us at (724) 420-5199 to get started. **DISCLAIMER: While these are actual statements from people who have trained at PACS, or with Head Instructor Casey Leonard, its important to note that not all people will experience these same results. Its just a fact. The training we offer requires dedication and desire to succeed, and only YOU can bring that to the table. Here's what some of our members have to say about the quality training they have received from the coaches at Pennsylvania Combat Sports. "Casey Leonard was the Coach of CGS where I got my start in Jiu-Jitsu around 2002. I competed after about 2 months training, against students of a Black Belt from Brazil! I took Gold in 2 seperate divisions that day. I trained with CGS for 3 years before moving to the west coast, the Meca for BJJ. In that time I competed every month or so, I got all my fundamentals from Casey and Team CGS. Casey inspired me to do somthing I didn't know I possessed & is a great mentor. He never held back his knowledge which is hard to find. I'm a Jiu-Jitsu instructor at a Undisputed in San Diego, CA under Master Baret Yoshida now, I've been with Baret since 2006. Casey gave me the skills and inspired me to take the steps to continue training once I moved to California. Our doors are open here At Undisputed to the Pennsylvania Combat Sports crew, from The west coast family to the east coast family,see you on the MAT!" "I'm 42 years old and I began training in Brazilian Jiu Jitsu on January 7, 2013 with two goals in mind: learn practical self defense skills and lose 30 pounds over 6 months. I had concerns about working into an ongoing class since I had no prior martial arts experience, but I quickly found this to not be an issue. The coaches explain, demonstrate, and reinforce each technique thoroughly and they relate each technique to competition and street scenarios, so that everyone walks away not only having learned a new technique, but also having learned when and why we would use it. Everybody who trains at PACS does so with humility and passion and I immediately was made to feel like part of the family. After four weeks of training, I am well on my way to exceeding my goals. My overall fitness has improved dramatically, my mental focus has sharpened, and I've already lost 20 pounds. I cannot imagine training anywhere else." "Training with Casey and PA Combat Sports has dramatically improved my level of fitness. In just a few months, I lost 17 pounds and shaved 6% from my bodyfat percentage. Prior to training with Casey, I had no jiu-jitsu or wrestling experience. But after training for a few months I achieved my first submission in competition from my back. I also won third place in my division. If you are dedicated and focused, the possibilities at PA Combat Sports are endless." Pennsylvania Combat Sports has created a streamlined system for beginners to learn effective martial arts, right here in Westmoreland County. We offer several membership options that can be tailored to fit your schedule and budget. Depending on which program and option you choose, the average cost for a PACS 101 Membership is only about $90-125 per month. Remember, you always get what you pay for and at PACS we only provide expert instruction that gets results. Still on the fence? We also a 30 Day Free Trial. This is exactly what it sounds like, you get to try 30 days worth of classes in our "101 Program" for FREE. Keep in mind that uniforms and or required gear, is not provided. However, included with all memberships (new students only) is a complimentary gear package for either Brazilian Jiu-Jitsu or Combat Striking. This provides you with everything you need to get started in our classes. These gear packages typically cost over $100, and you’ll receive it for Free! In addition to your initial membership, new students are given an extra 30 days of Free Training. This is a one time deal that applies to all new memberships…that's an offer just too good to pass up. Last but not least, we also have our PACS 60 Day Money Back Guarantee. If you train with us for your first 60 days and feel that you gained no benefits from the program, we’ll refund back all of the your training investment… and we can part as friends. No hard feelings. 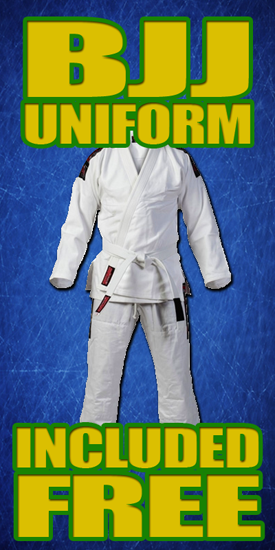 Learn From Brazilian Jiu-Jitsu Champions! This spring we are bringing you a great opportunity to LEARN Effective Fighting Skills, while getting into Excellent Shape, with our PACS 90 Day Training Offer! Learn some of the most effective REAL WORLD Martial Arts systems ever created, right here in our downtown Greensburg location. Now the fact is this. You won't become an expert in just 90 days, however we guarantee that you WILL learn many fundamental techniques that can stay with you the rest of your life...whether you continue your training or not. From a fitness standpoint, its been proven that our training programs generate great results for those seeking to lose weight and get into amazing shape. At PA Combat Sports we specialize in Brazilian Jiu-Jitsu, Combat Striking (which includes Muay Thai, Boxing, Dutch Kickboxing and Krav Maga techniques) and Mixed Martial Arts (MMA) training. Every program we offer has in-depth Beginners classes (commonly known as the PACS 101 Program) for those with ZERO prior experience. Using the "Crawl-Walk-Run" approach to training, every student will learn the basics while getting into great shape at the same time. This 90 Day Martial Arts Training Offer will END on April 30th, so don't delay or experience that thing called...regret. The first step in getting started begins with contacting us today. You can use the contact form above or give us a call at (724) 420-5199 for more information and to set-up a training consultation at our facility. We are located at 114 E. Otterman St. Greensburg Pa. 15601 and our academy entrance is at the back of the building. Pennsylvania Combat Sports had a great competition year in 2015, and we can't wait to get the 2016 season rolling! Top notch Brazilian Jiu-Jitsu instruction along with the dedication of our adults, teens and kids makes results like this possible. From experienced competitors winning major IBJJF tournaments across the country, to newer students making their competition debuts right here in Greensburg...We love seeing the progress that our members are making. Podium pictures can be seen on the COLD STEEL III Flickr Album. Check back, as more action photos will be added over the coming week. So here's one of the most misunderstood and under utilized training tools for those involved in Brazilian Jiu-Jitsu, MMA, Muay Thai, Krav Maga...or any martial arts for that matter. This 2014 Martial Arts Goals Sheet will help in identifying your training and competition based goals for the upcoming year. Print the PDF goals sheet document and complete these pages in your own handwriting, as its been proven that an individuals handwritten words, hold a greater commitment and connection than the routine and impersonal use of a keyboard. Complete insights and directions, for making the most of this tool, can be found on the last page...so don't forget to read it as well. Created by BJJ Black Belt, Casey Leonard, to help his students at Pennsylvania Combat Sports in Greensburg reach their goals in 2014. This PDF can be a benefit to any school or individual who is looking for a great way to outline their path to success this upcoming year. Feel free to share and pass along this link to those whom you think would benefit from a FREE Logbook or journal style training file. Please "Like" and drop us a comment on our Facebook Page if you get some use from this goals sheet. This past Saturday, New York City once again played host to the prestigious IBJJF No-Gi Pan Ams. Some of the highest level competitors in the sport of Brazilian Jiu-Jitsu all converge in Upper Manhattan, each year, for the opportunity to earn Gold in what has become one of the International Brazilian Jiu-Jitsu Federations most anticipated events. Professor Vicente Junior is no stranger to top level, world class competition. This event would be slightly different though. Battling through some injuries while undertaking a 20+ pound weight cut, he wasn't about to let these "little speed bumps" get in the way of earning his place at the top of the Pan Am winners podium. Talking with Vicente today, he had these words to say, "i just wanted to thank all of my team for pushing me hard and giving me such hard times (on the mat) at the academy, you guys are always keeping me ready for battle." As PACS Program Director, and resident Brown Belt Instructor, Casey Leonard made it clear, "Professor is just a beast...I feel bad for anyone who faces that guy in competition." Pennsylvania Combat Sports in Greensburg, Pa is proud to have a great competitor and instructor in Professor Vicente Junior. Congratulations once again on the Pan Am Win VJ! If your ready to take your training to the highest level, or thinking about finally trying Brazilian Jiu-Jitsu for yourself....give us a call today at (724) 420-5199. You can even schedule your own FREE Private Brazilian Jiu-Jitsu Training Session ($80 Value) and learn more about what our comprehensive 101 Beginners program consists of. PS. Don't forget to ask about the PA Combat Sports Exclusive 30 Day Free Trial AND our No-Risk 60 Day Money Back Guarantee!